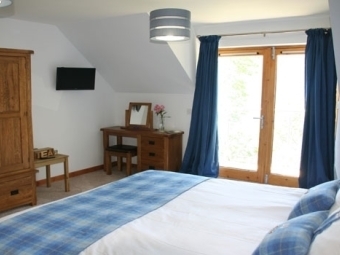 Balachladaich B&B is on the south shore of Loch Ness, 1 mile from the village of Dores. 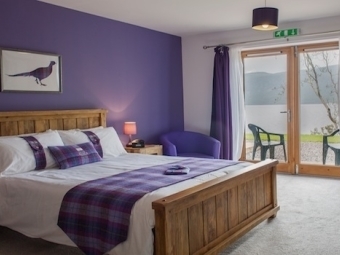 We are only 8 miles from Inverness city centre, and 18 miles from Inverness Airport. Please use the direction finder below to plan your journey to Balachladaich. Simply enter your starting town or postcode into the box and click the button to obtain detailed directions. Please note that many sat navs and route finders will still direct you through the City Centre, despite there being a bypass which has existed for several years! To avoid the City Centre, As the A9 approaches Inverness, turn off at the road signposted Hilton, Culduthel and Inshes Retail park. At the next roundabout follow signs for the B8082 (straight on), signposted for Hilton and Culduthel. Stay on this road and go straight over the next 6 roundabouts. This road goes right round the outside of Inverness to Loch Ness and ends on the B862. At this roundabout turn left onto the B862 and follow this road all the way to Dores.